Biodegradable polymers such as polycaprolactone (PCL) are increasingly used for electrospinning substrates for tissue engineering. These materials offer great advantages such as biocompatibility and good mechanical properties. However, in order to be approved for human implantation they have to be sterilized. 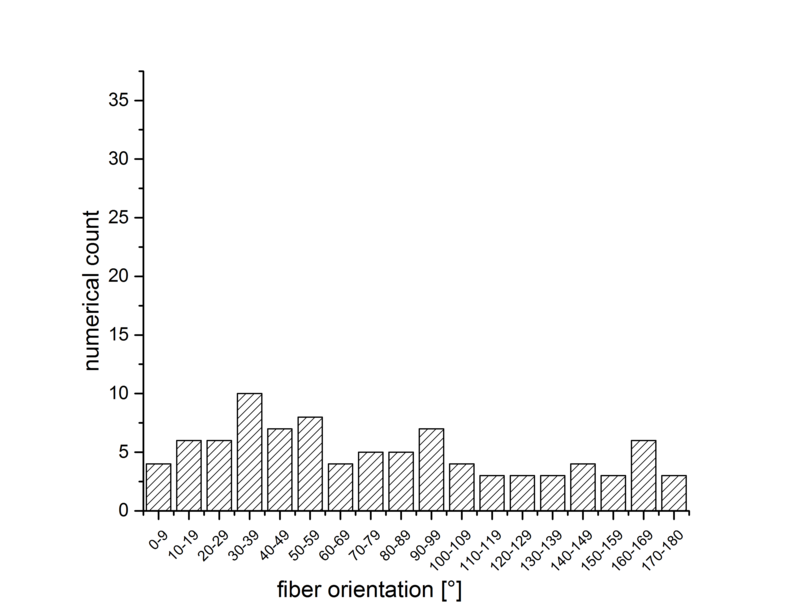 The impact of commonly used irradiation sterilization methods on electrospun PCL fiber mats was investigated systematically. 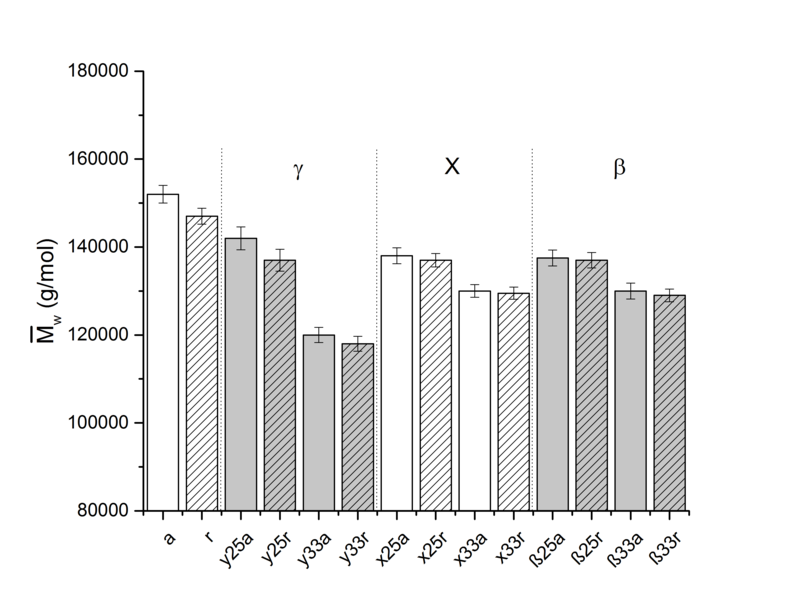 Electron beam (β-irradiation), gamma and X-ray irradiation with two different doses (25 and 33 kGy) were investigated. To determine the impact on the fiber mats, mechanical, chemical, thermal properties and crystallinity were investigated. Irradiation resulted in a significant decrease in molecular weight. 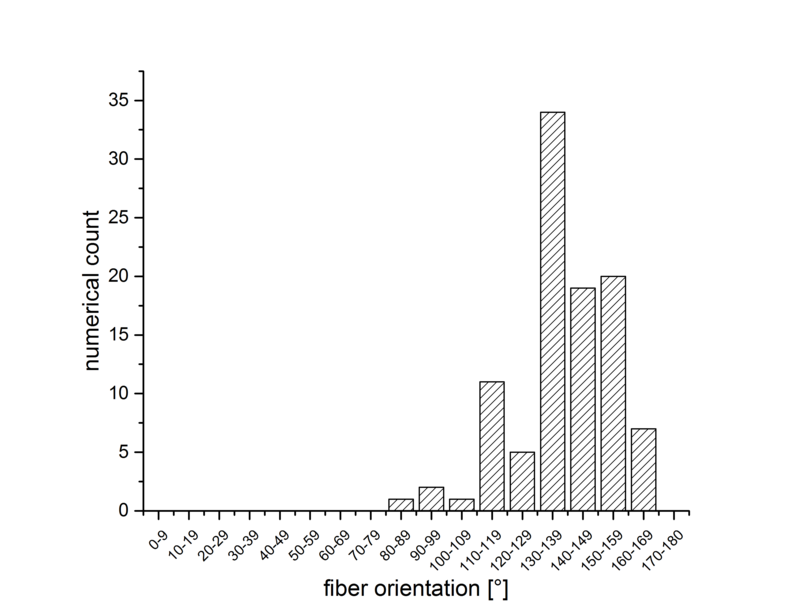 At the same time, crystallinity of fiber mats increased significantly. 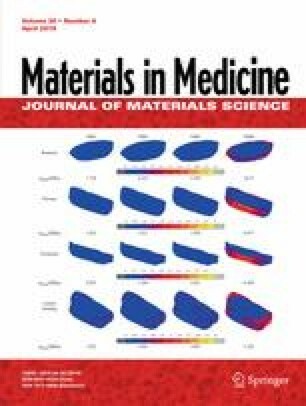 However, the mechanical properties did not change significantly upon irradiation, mostly likely because effects of a lower molecular weight were balanced with the higher degree of crystallinity. 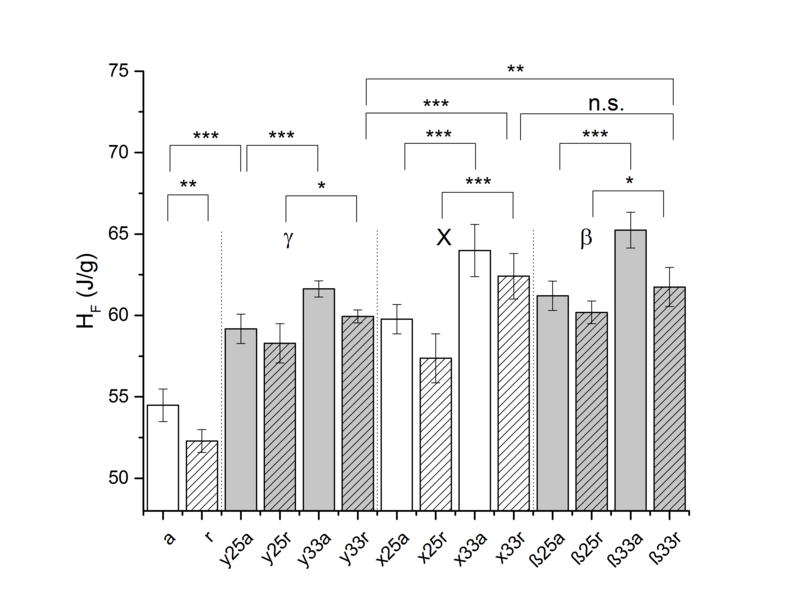 The irradiation effects were dose dependent, a higher irradiation dose led to stronger changes. Gamma irradiation seemed to be the least suited method, while electron beams (β irradiation) had a lower impact. Therefore, β irradiation is recommended as sterilization method for electrospun PCL fiber mats. The online version of this article ( https://doi.org/10.1007/s10856-019-6245-7) contains supplementary material, which is available to authorised users. This research project has been supported by the DFG FOR 2180 “Gradierte Implantate für Sehnen-Knochen-Verbindungen“. Furthermore the authors would like to thank “Thünen-Institut für Agrartechnologie” for assistance in performing DSC measurements. The authors would like to thank Michael Bode and Alexander Becker (Institute for Multiphase Processes, Gottfried Wilhelm Leibniz Universität Hannover, Hannover, Germany) for discussions. Noah EM, Chen J, Jiao X, Heschel I, Pallua N. Impact of sterilization on the porous design and cell behavior in collagen sponges prepared for tissue engineering. Biomaterials. 2002;23:2855–61. https://doi.org/10.1016/S0142-9612(01)00412-4. Dai Z, Ronholm J, Tian Y, Sethi B, Cao X. Sterilization techniques for biodegradable scaffolds in tissue engineering applications. J Tissue Eng. 2016;7:2041731416648810. https://doi.org/10.1177/2041731416648810..